Keeping your house safe, sound and secure is of the utmost importance for any homeowner. Unfortunately, burglaries in the UK are quite common. The latest statistics show that in the UK in January of this year alone, nearly 36,000 burglaries were reported to the police. But you can prevent your house being at risk from this type of crime by thoughtfully securing your home against a break-in. All you have to do is make a few changes, additions or in behaviour alterations that will make your home a less appealing target, therefore reducing the risk of burglary. Although lots of burglaries do take place in the daytime, darkness is still a good cover. Indoor lighting can be a great deterrent as it makes it seem less likely that the house is empty. If you are going away, setting lights on a timer is a good idea, so it will be harder to tell whether you’re away or not. Outdoor lighting means that any intruders are more likely to be seen if they attempt to trespass on your property. Outside lights are also a great security measure, and can be set up with motion detectors so they only come on when you need them to. Although the innocent act of updating Facebook with your location and a few photos of your hotel while you’re on holiday may seem like a great idea, you could actually be putting the safety of your home at risk. You may think that you know exactly who will see your updates, but it’s not that simple. The fact is, it’s not hard to eavesdrop on social networks, and an update stating that you will be away for a couple of weeks soaking up the sun could act as an accidental invite for robbers and thieves. Alarm systems offer great peace of mind, especially if it’s obvious to intruders that you have one. If your alarm system is displayed prominently, it will act as an effective deterrent to anyone scoping out your property for a possible break-in. If it’s hidden, however, the alarm is really only an after-the-fact security measure. Still hiding your spare key under the doormat or in the plant pot in the back garden? Think again, it’s just not worth it. It may save you from being locked out on the odd occasion that you’re caught without a key, but it will increase your chances of burglary, which, let’s face it, is far worse. A good alternative is to have a couple of keys cut and leave them with trusted neighbours. Finally, making sure that your doors and windows are secure is a must for home security. Window locks are a great idea, and doors should be sturdy with good quality locks. 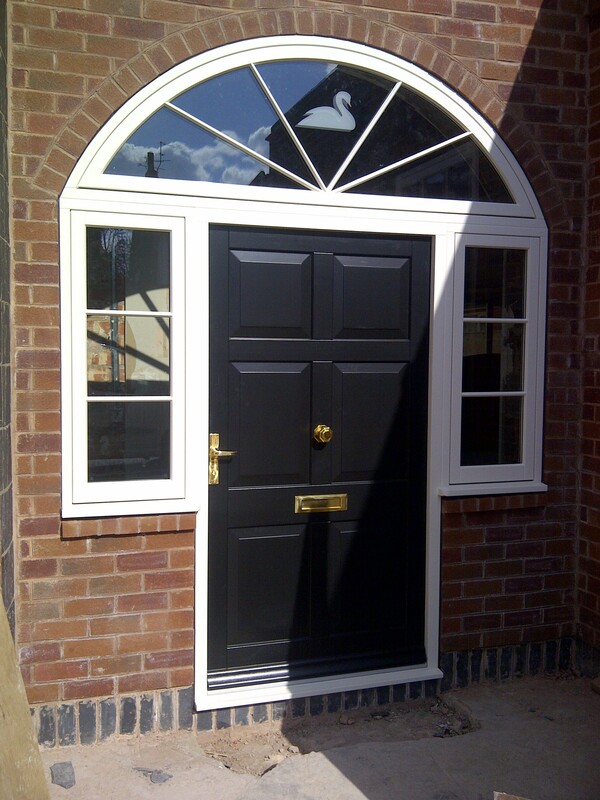 The wooden windows and doors supplied and installed by Oracle Window Solutions have exceptional security standards. With modern manufacturing methods and high specification glazing we are also able to achieve the highest levels of performance for weather tightness, thermal performance, energy ratings and u values. For more information and about our selection of wooden windows and doors, contact Oracle Window Solutions on 01623 631116 or email sales@oraclewindowsolutions.com. One of the fantastic advantages of wooden windows and doors is that they are environmentally friendly, especially when compared to uPVC. In fact, wooden windows have the lowest environmental impact of any window material because they are made from the only naturally renewable material! It’s a common myth that wooden windows are behind on the energy efficiency ratings. Wood is a really good insulator and has very low thermal conductivity, so it’s perfectly possible to achieve fantastic energy efficiency in your home by choosing quality wooden windows and doors. Generally, wood windows are available with Window Energy Ratings of A – C, but our standard window is certified to an ‘A’ Energy Rating! Our wooden windows are also at the top of the game for weather tightness, security, thermal performance, and U values. Although wooden windows and doors do cost more initially, they last so much longer than plastic windows, which typically only last 20 years or so and need to be replaced regularly. Wooden windows, on the other hand, when properly maintained, should last 60 years and possibly even 100 years. Saving yourself money in the long run by making an investment in timber really is the smart choice! 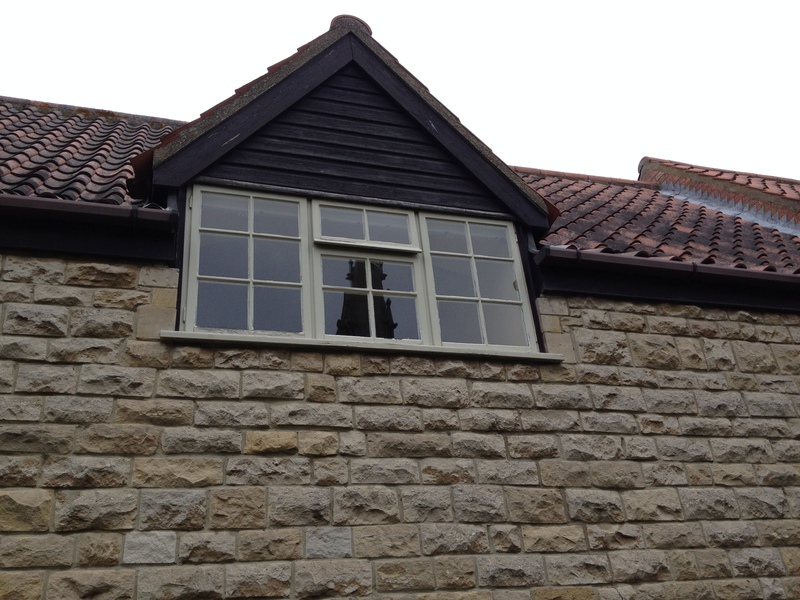 Timber windows offer great flexibility when it comes to design. In addition to the traditional styles available, we also have a range of contemporary wooden windows to suit modern tastes. There are also a number of styles and finishes to choose from; due to the manufacturing flexibility of wood, you can choose from an almost unlimited range of options. 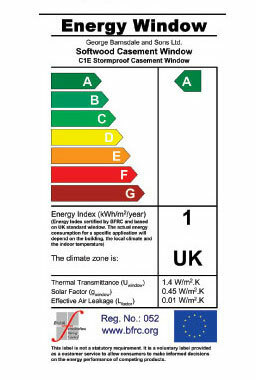 If you would like to find out more about our range of energy efficient, environmentally friendly wooden windows and doors with ‘A’ grade Energy Ratings, contact Oracle Window Solutions on 01623 631116 or email sales@oraclewindowsolutions.com. As wooden window installers in Nottinghamshire, Oracle Window Solutions are a pre-disposed to admire a well dressed Christmas window! As it’s nearing December and the festive season is almost upon us, we thought we’d put together a few window dressing ideas that will be sure to liven up any window! Many people think that wreaths are just for doors, but why not try hanging one at your window so it can be seen from inside and out? Whether you’re a fan of traditional wreaths or prefer something a little more modern, window wreaths mean that you can hang them inside or out for everyone to enjoy, not just those that come knocking at your door. And if you like to keep it simple and classy at Christmas, they add instant festive appeal to any room without going over the top. You might be used to having baubles on your tree, but they can make great window decorations too! Try hanging baubles on varying lengths of colourful ribbon from your curtain pole to add interest and sparkle to your home over the festive season. Another simple yet effective way of dressing a Christmas window is by using natural foliage such as pine, holly or mistletoe. This can be foraged for during the festive season and should last for a couple of weeks. Alternatively, you can buy good quality artificial foliage and flowers that look just as good as the real thing and can be brought out year after year. A lovely festive garland draped across a window covered in snow will really get you into the Christmas spirit! 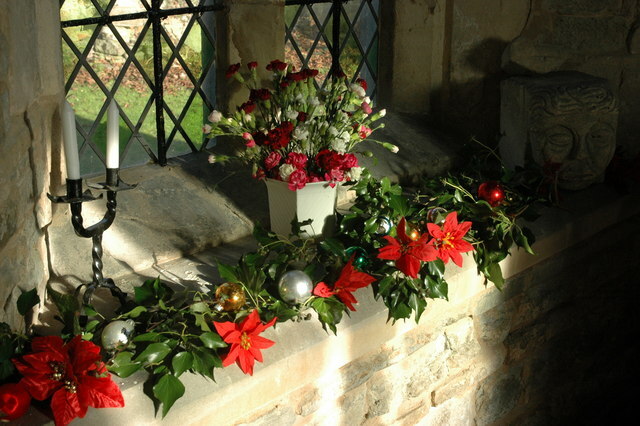 You can buy garlands from many online retailers and high street stores, featuring anything from traditional Christmas decorations, hanging hearts, candy canes or beads. Again, if you’re the crafty type with a love of all things homemade, why not make your own? 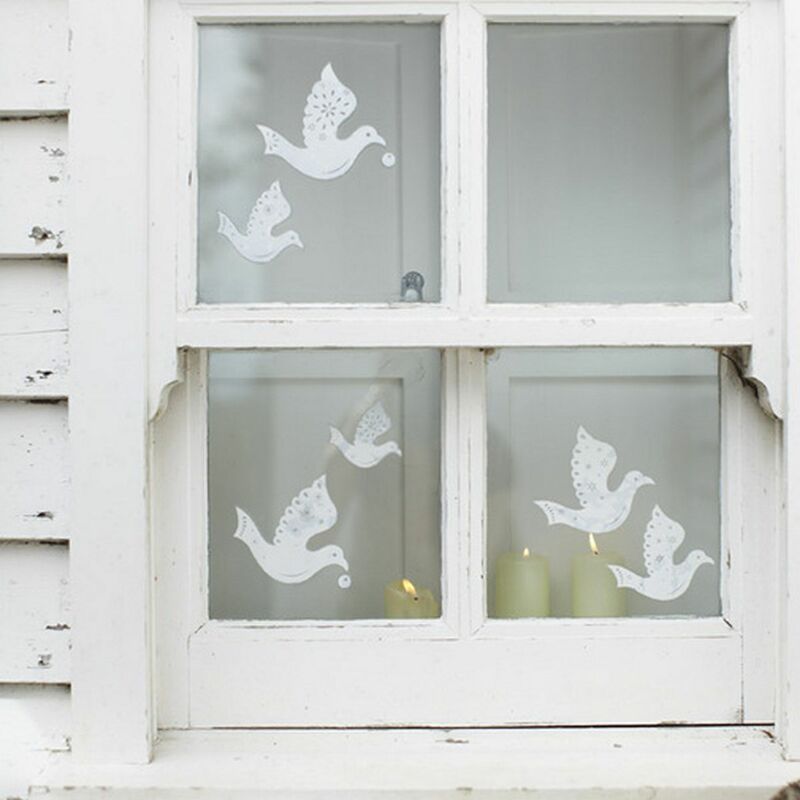 You can buy all kinds of beautiful festive window stickers that will dress up your windows in seconds. If they are the adhesive type, take care to ensure that they are good quality and will not leave any residue, but most will come off easily. And if you’re creative or crafty, you could also think about making your own! Do you wish you could get your windows looking crystal clear and smear free? Cleaning your windows is a job that most people don’t enjoy, but there are ways to make it hassle free! Here at Oracle, we’ve put together a list of the top 7 window cleaning tips that are sure to leave your windows looking fantastic! It’s best to clean your windows on a cloudy day, never in direct sunlight. Sunlight on the glass results in your windows drying too quickly, which will almost certainly leave streaks. For a perfect and professional looking finish, invest in a squeegee and good quality sponge. 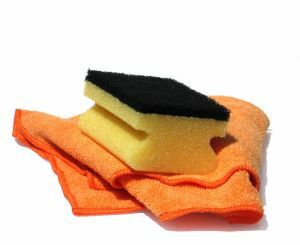 It’s essential that you start with a clean sponge, as a dirty one will just leave dirt behind. If you are cleaning lots of windows then make sure you rinse your sponge well regularly, especially if the windows are particularly dirty. Holding the squeegee at an angle means that water runs down the glass at one end, not both. Try to use horizontal strokes too, and always allow the water to drain off one side. That way you avoid getting water on the bits you’ve already cleaned! We recommend overlapping the strokes you make as well. After each stroke of your squeegee it’s important to wipe the blade with a lint free cloth. If you don’t, you’ll be left with blade marks on the glass from the water. When you’ve finished, you may notice water marks or spots around the edge of the window pane. This is almost unavoidable, but can be solved with a wipe down of the entire window edge with a lint free cloth. It’s not always easy to control a squeegee if you’re new to it, but you will get the hang of it with a little practice. Start with a 12 inch squeegee, and as you get more confident, you could move up to an 18 model as used by professional windows cleaners. 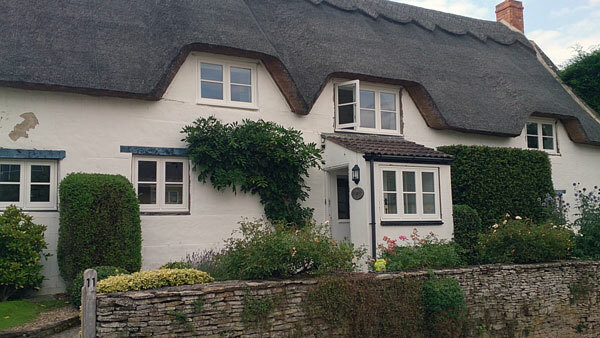 Here at Oracle Window Solutions, we obviously spend a great deal of time admiring and installing wooden windows in the Nottinghamshire, Lincolnshire and Yorkshire areas. If you would like to find out more about the fantastic range of products that we have available, including wooden flush casement windows, wooden sliding sash windows and wooden stormproof casement windows. Call us on 01623 631 116, email sales@oraclewindowsolutions.com or get in touch via the contact page. Timber Doors and Windows Versus Aluminium Windows – Which are Best? As experienced suppliers and installers of wooden windows and doors in Nottinghamshire, Oracle Window Solutions are often asked about the benefits of wooden windows over other alternatives such as PVC and aluminium. It’s true that PVC and aluminium are both cheaper options, but as you may well know, cheap isn’t always the best! For long term value and the prospect of making an investment into the future of your home, we believe that wooden windows and doors are a fantastic option – and here’s why. We may be biased here at Oracle, but we reckon you’d be hard pressed to find anyone who would disagree that timber is better looking than aluminium when it comes to adding a beautiful natural look to a home. Timber simply looks lovely. Whether painted or left in its natural colour, the look and grain of timber will accentuate the beauty of a home and its garden. Aluminium can be thought of as maintenance free, so is an attractive option in this way. But it’s not as simple as that; aluminium can degrade over time due to corrosion from the elements and exposure. And once it has degraded, there’s just no way to restore it to its original condition. The only solution is to replace it. Timber is relatively low maintenance and with the correct design and installation, it will last for years. In fact, there are many timber windows and doors in properties across the country that have lasted for centuries. Our products have long term guarantees and modern coating systems, meaning that a quick wipe down and a brush coat of the correct paint is enough to protect the windows for another 5 years. It’s true that timber may cost a little more in the beginning, but it more than pays for itself compared to PVC or aluminium within a period of a few years. Not only can timber windows increase the value of your home, they can also save you a substantial amount of money on energy costs too, due to their superior performance with regard to weather tightness, thermal performance, energy ratings and u values. Also, with the correct maintenance, they can last for years. All these things easily offset the initial cost, ensuring secure, good looking windows – a worthwhile investment for the future of your home. It goes without saying really but, as you might expect, timber is natural. The process of producing timber windows and doors creates a very small carbon footprint, making it an environmentally friendly choice. Aluminium, however, has to be created and smelted, which creates far more in the way of greenhouse gases compared to timber. The smelting process also wastes water, and uses chemicals which are highly toxic. Oracle Windows Solutions are leading suppliers and installers of wooden windows and doors. We love to show off our work, and a recent job in Lincoln provided us with a perfect opportunity to do just that! We installed a new front door and half round window for our client, under the instruction that the replacement door matched the original door. This included bolection moulds around the panels and glass. We also designed the “door number glass” which incorporates a clear number with a sandblasted surround. The door has our standard multi-points locks which we have matched to the locking barrel locks of the new kitchen door and French doors that we installed at the same time. We have lots of returning customers and consider it a testament to our skill and excellent customer service that this is the second job we have done for this client so far. There are also more phases of the project to come later in the year, so we look forward to sharing more information and pictures with you. Visit our website for more information on wooden windows and doors, or contact Oracle Windows Solutions today to discuss your bespoke wooden door ideas. We’ll give you the best advice, and help to make your home ideas become reality. 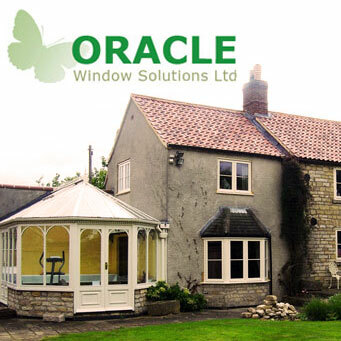 As leading Nottinghamshire suppliers and installers of wooden windows, Oracle just love to show off their work! For anyone thinking of having replacement windows and doors fitted in their property, take a look at the process of fitting timber windows. The sashes are removed from the original single glazed window so that Oracle Windows Solutions can start to cut the old frame out. By doing so, the amount of damage to the aperture is reduced. When the old frame has been removed completely, the aperture is cleaned ready for the new frame. Once the new frame is in place, packed and levelled, it can be fixed into place. The opening sashes are installed and the window is in full working order. The pictures below show in sequence the typical installation of wooden sash windows. Another Great Testimonial for Our Wooden Windows and Doors! As an experienced window company, we’re used to the odd compliment. But we thought you might like to see what other people are saying about us too! Oracle Window Solutions Ltd is not just a window company. We are a specialised supplier and installer of wood/timber windows, doors and conservatories/orangeries. We have the solution to nearly every problem that may occur with your existing home or new extension and if you are building a new house. 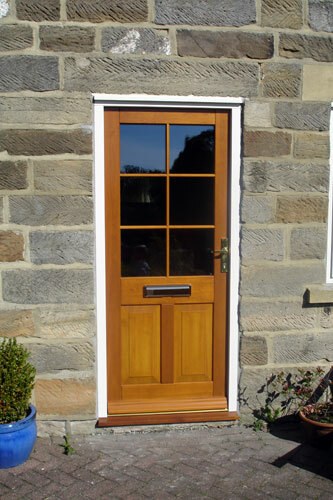 If you are in Lincolnshire, Derbyshire, South Yorkshire,Nottinghamshire or the East Midlands, then Oracle can supply your wood/timber joinery needs. With over 35 years’ experience in the industry, our Managing Director, Martin Bevan is able to offer advice and consultations without obligation. There is no “hard sell” or pressure, just the highest levels of service, best quality and the latest specification energy efficient products. Installation is not forgotten, with out Technical Director, Dan Edwards, a qualified surveyor, overseeing all aspects. Our installers have been specifically trained and one of our directors is present on every installation to ensure a trouble-free experience for our clients. Our management team have been responsible for the installation of over 250,000 replacement and new windows and doors.